We use AI and Machine Learning to clean, classify and categorize vendor spend from multiple, disparate legacy systems. CXO Nexus uses advanced Artificial Intelligence (AI) techniques leveraging Deep Learning Neural Networks, and Natural Language Processing to automate the management and maintenance of Vendor Spend data. 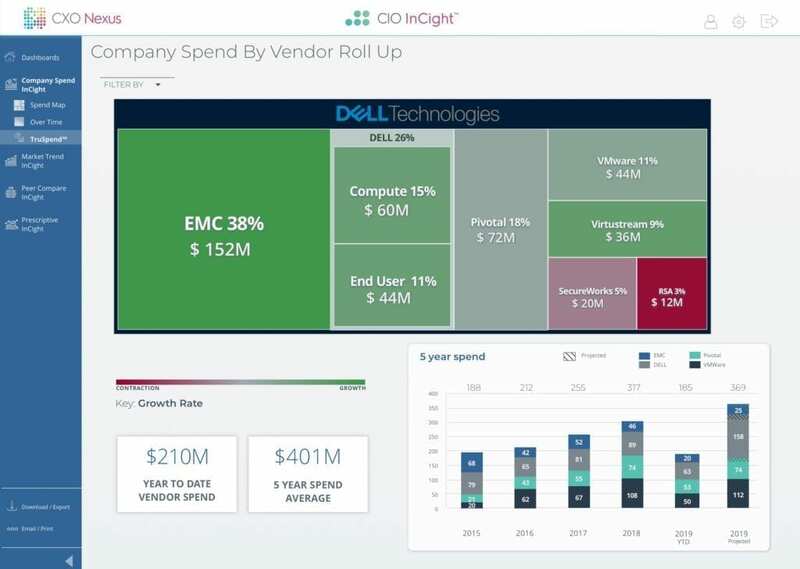 The output of the Visual Fusion Engine™ (VFE™) include CIO InCight and CMO InCight platforms that elevate the discussion so Information Technology (IT), Marketing, Finance and Procurement can focus on optimizing the business, not infinite amounts of vendor data. The VFE™ is an overlay that ingests multiple data sources, via APIs and feeds, from common financial and procurement systems. 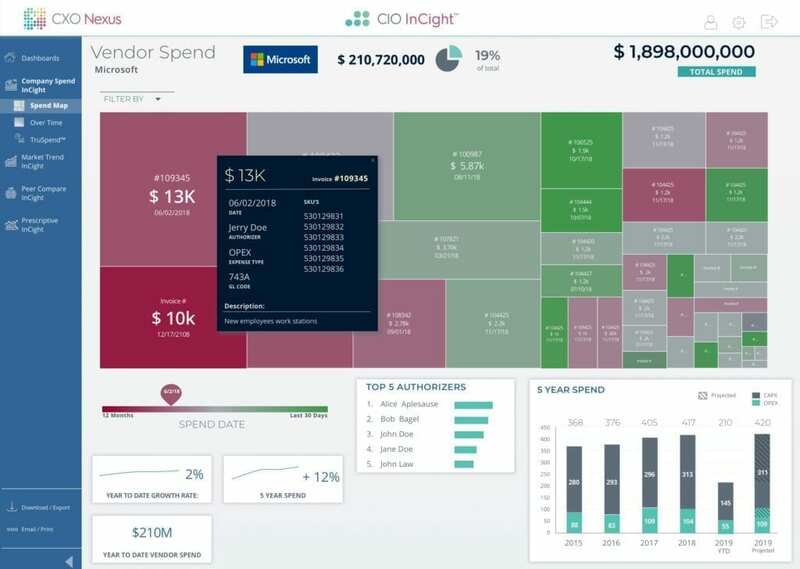 In addition to the customer sources enrichment data on vendors, including market and product, are added to provide context and improve fidelity.